Identifying Theft – Do you know how to Protect Yourself? Identity theft is a type of fraud. It involves stealing money or gaining other benefits by pretending to be someone else. Having your identity stolen can be devastating – both financially and emotionally. Identity theft can occur in many ways. It may include someone using your credit card details illegally to make purchases or having your entire identity assumed by another person to open bank accounts, take out loans or conduct illegal business under your name. Identity theft works in a range of ways, from crude methods to well organised scams. 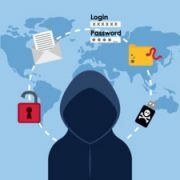 Many of us have a wealth of personal information readily available such as cards in our wallet, mail, public records, information saved in our computers and information posted on social networking sites. Identity theft can happen easily and quickly. Scammers will have easy access to your personal information if it is readily available. For example, scammers will pay people to rummage through rubbish tips and steal letters (also referred to as ‘dumpster diving’) to collect personal information. Blatant mailbox theft is also an ever-growing crime in many communities. Phishing scams are all about tricking you into handing over your personal and banking details. Most work by setting up special links in an email sent to you that take you to websites that look genuine. Phoney fraud alerts are similar to phishing scams where scammers trick you into handing over your personal details. A common fraud alert involves the scammer pretending to be from your bank informing you that your credit card or account has been cancelled because of suspicious criminal activity. They will then trick you to provide account details to ‘confirm’ your identity. Bogus job opportunities are usually posted on job websites. The scammer may use or sell your personal information provided in the job application. Online identity theft may occur when personal information is used without your knowledge or permission. Personal information can be accessed from your computer or at a public computer terminal. impersonate you online on social networking sites. Identity theft may damage your chances of applying for loans and credit cards. Monitor your content. If you suspect your profile has been hacked, shut it down immediately. Use only websites with secure payment processes for online shopping and banking. Avoid getting phished. Don’t respond to calls or emails from banks asking for passwords or other details. A legitimate bank or financial institution will never email you asking for personal details or to follow a link. If you receive a call from someone saying they’re from the bank, ask for their name and a contact number or hang up and call back on their publicly listed number to see if it’s authentic. Regularly check your credit card and bank statements to ensure that suspicious transactions are detected. Shred all documents containing personal information, such as credit card applications and bank statements. Search for and log directly on to a website that you are interested in rather than clicking on links provided in an email. Always seek independent advice if you are unsure whether an off er or request is genuine. Credit card scams. There are many types that aim to steal your credit card details, either by taking the card itself or by tricking you into giving them the card details. Card skimming. The illegal copying of information from the magnetic strip of a credit or ATM card can create a fake or ‘cloned’ card with your details on it. Spyware is a type of software that spies on what you do on your computer. Key-loggers record the keys you press on your keyboard. Scammers can use them to steal your online banking passwords or other personal information. If you think your identity has been misused, you should contact your fi nancial institution to let them know. You can also report a scam to SCAMwatch. Remember to tell your friends and family about the scam so they are alerted if they are targeted. http://www.indigofinance.com.au/wp-content/uploads/2017/04/album_photos_medium_22.jpg 225 225 wsadmin http://www.indigofinance.com.au/wp-content/uploads/2017/01/indigo-finance-logo.png wsadmin2017-02-27 15:38:202017-04-19 15:38:36Identifying Theft - Do you know how to Protect Yourself? Identifying a Good Investment Property. 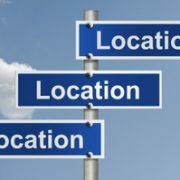 Most of us have heard the saying ‘Location, location, location’,but have we thought about what it actually means? Is it the only factor when considering buying an investment property? There is no doubt that location is the single most important factor in determining a good investment property. It influences your ability to attract tenants and provides the opportunity for long term capital growth. access to amenities such as schools, hospitals and leisure facilities. Locations with good access to the development of new infrastructure such as expressways and freeways also attract tenants. If a suburb has all these traits it will most likely experience population growth or low rental vacancy rates – both good indicators of demand. It is important to understand the socio-demographics of the area where you are looking to buy. This includes household formation (families or singles), average income and other traits. These are important considerations when determining the type of property to buy. If the area is predominantly represented by families it would be best to purchase a house, duplex or townhouse instead of a one bedroom unit. When looking at property characteristics there are a few things to consider. Clean and well presented. Well presented properties are more likely to be rented than those that are not. Low maintenance. As a landlord you are fi nancially responsible for the repair and maintenance of the property. Most landlords do not want to be ‘hands on’ and therefore look for properties that are not likely to need excessive repairs. This is why many investors prefer newer properties (apart from the additional tax benefits) and apartments as they generally need less repairs. Garaging. For many tenants their largest investment is their car and therefore they are attracted to accommodation that offers off -street parking and preferably garaging. http://www.indigofinance.com.au/wp-content/uploads/2017/04/album_photos_medium_21.jpg 199 299 wsadmin http://www.indigofinance.com.au/wp-content/uploads/2017/01/indigo-finance-logo.png wsadmin2017-02-22 15:36:472017-04-19 15:37:00Identifying a Good Investment Property. deposit and how much you can afford to borrow. comfortably complete on the purchase of your proposed property. ask you how many dependent children you have to factor in the extra cost of living. the larger the deposit, the more you are likely to be able to borrow. 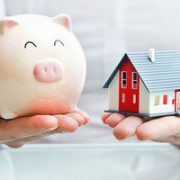 Generally if you do not have a 20% deposit you will have to pay lender’s mortgage insurance. is now often considered as part of your savings history. providing the necessary security through a mortgage over your existing home or other property rather than using your savings. interest rate (typically 2%) than is currently available to allow for interest rate fluctuations. amount with some lenders off ering terms of up to 40 years. If you would like to discuss your loan options, call the o ce and we will be happy to assist. http://www.indigofinance.com.au/wp-content/uploads/2017/04/album_photos_medium_20.jpg 200 299 wsadmin http://www.indigofinance.com.au/wp-content/uploads/2017/01/indigo-finance-logo.png wsadmin2017-02-17 15:34:372017-04-19 15:35:20How Much Can I Borrow? Good Old Days, Were they really that good? It’s incredible how long fallacies last, even in the new age of information and knowledge. One such fallacy that many hard pressed, teenage-raising parents claim is that everyone is working harder than ever with no time to scratch themselves. In fact we actually work only half the hours each week (32.5 hours on average) that our forebears did in 1800. The total hours of paid work in a lifetime has remained steady – we just spread it over 50 years now, not 25 (as it was when life expectancy was just 38 years). So we all work half as long each year, but for twice the number of years! Do you think we’ve come a long way in the last 50 years? A quick glance at lifestyles in the Industrial Age that ended in the mid-1960s just might remind us that we are a lot better off today. And a further glance at where our money goes – with a large chunk on entertainment and leisure activities – shows we are outsourcing many of the tasks and activities that were once done at home. 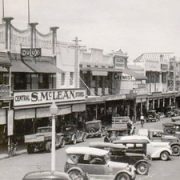 So were they really the ‘good old days’? http://www.indigofinance.com.au/wp-content/uploads/2017/02/album_photos_medium_19.jpg 225 300 wsadmin http://www.indigofinance.com.au/wp-content/uploads/2017/01/indigo-finance-logo.png wsadmin2017-02-09 15:31:572017-04-19 15:33:32Good Old Days, Were they really that good?